Samsung want to launch extend the range of its Galaxy smartphones by introducing ” Samsung Galaxy Gear Smartwatch ” . Well this Galaxy Smartwatch can make phone call , watch movies , explore files and data , surf the web and other sort of works that you usually expect from a smartphone . 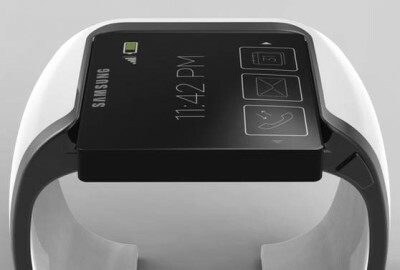 The Galaxy Gear Smartwatch will have Android operating system to make its hardware work . Samsung will unveil this Android-powered smartwatch on September 4 . After providing world’s most responsive smartphones to the consumers , for there hands . Now Samsung wants to put its name on your wrist as well . Well the company is delighting the people since the day it was born . There are many big launch events to take place on September 4 like Apple’s iphone 5S & 5C . Samsung Galaxy Gear Smartwatch will compete with other smart-watches .